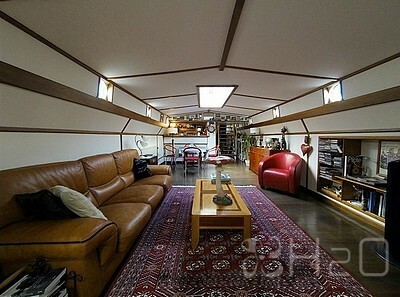 Charming Klipper boat from 1898 offering a living area of appoximately 95m2. Very well equipped. TRIWV valid until October 2020. 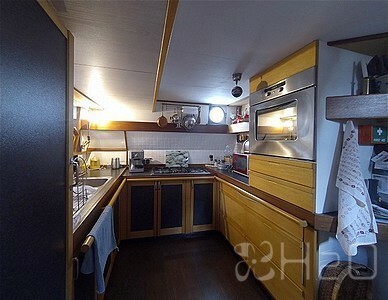 Sleeps 4 people, 2 cabins. 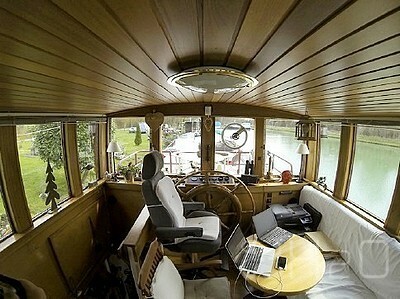 Nice wheelhouse with steering position and seating. 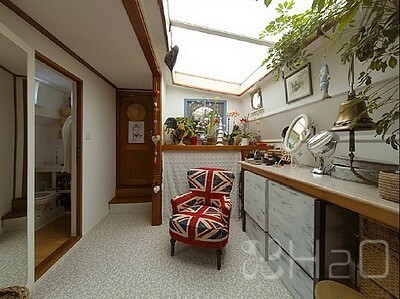 Very large aft cabin with central double bed, many cupboards and pretty woodwork. Aft toilet. In the center is an impressive and bright living space including a comfortable salon, a dining room and an american kitchen fully equipped. Bathroom with shower and toilet. 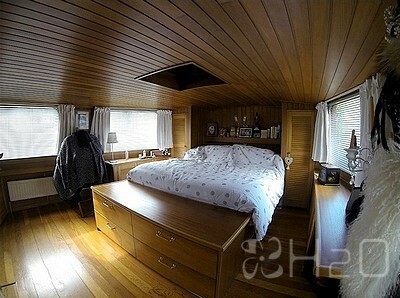 Beautiful front cabin with 2 single beds. 2 toilets. Shower. Fuel central heating with 8 radiators. Electric hot water boiler. Radio and CD player. TV. TV antenna. Hob with 3 rings. Oven. Fridge. Deep freeze fridge. Washing machine and dryer combi. Steering position. 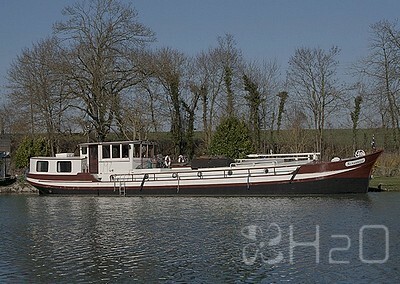 Alu gangplank. Swimladder. Steel mast. Crane. Anchor, chain length approximately 25m. Deck wash pump. Dinghy. Windscreen wipers. Horn. Navigation lights. 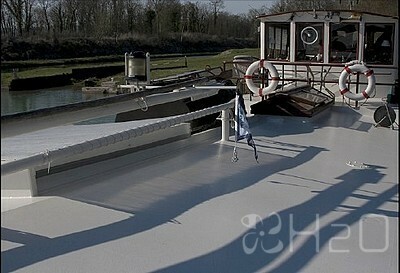 2 bilge pumps. VHF + AIS. Rudder indicator. Daf 140hp Diesel. Ford 16hp hydraulic bowthruster. Shore power. 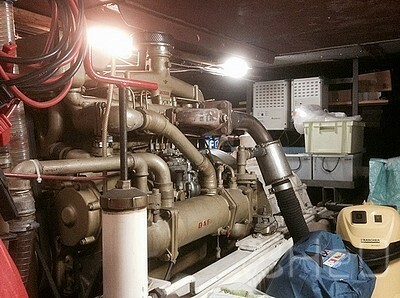 32kW Diesel generator. 2 x 250ah 24V service batteries. 2 x 24V 200ah engine batteries. Mastervolt 75A battery charger. Mastervolt 3500W inverter. Differentiel trip switch.